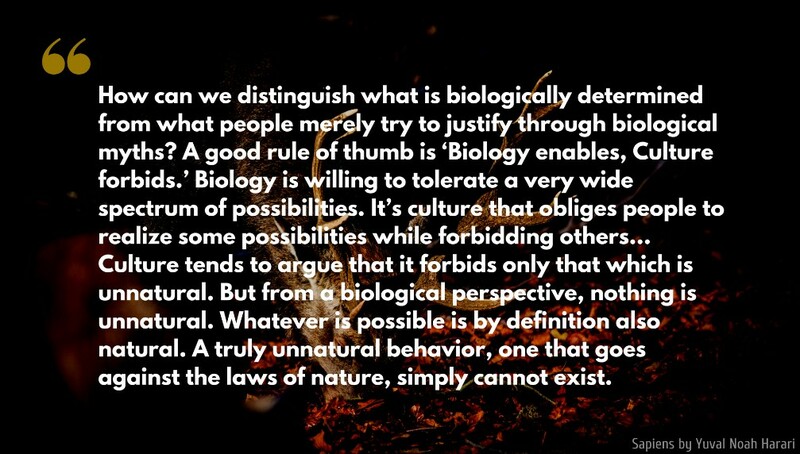 What is it to be human and how long have we been human? What is history and does it indeed have a trajectory towards something? Were we better of before? 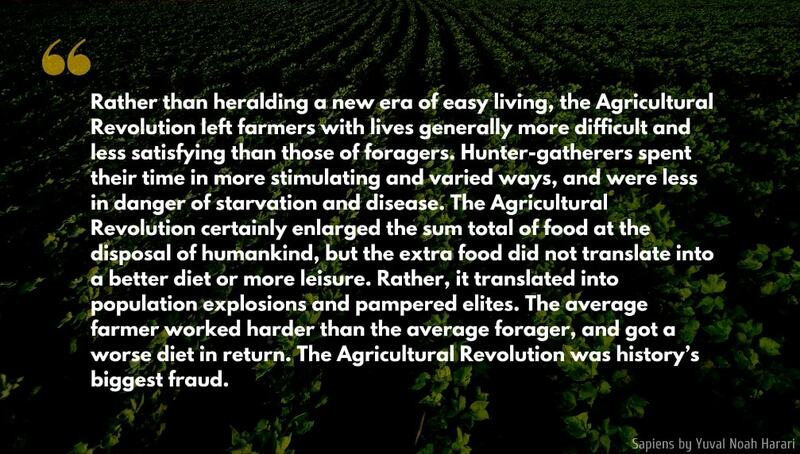 Did hunter and gatherer societies live a more earnest life than we do as modern people? In the book Sapiens: A Brief History of Humankind written by Yuval Noah Harari, one is confronted with the vast complexity that underlies our entire modern world and civilisation. The myriad preceding events that led to us being here, as we are. So with no further a due, here are some notable quotes from the book. Earlier traditions usually formulated their theories in terms of stories. 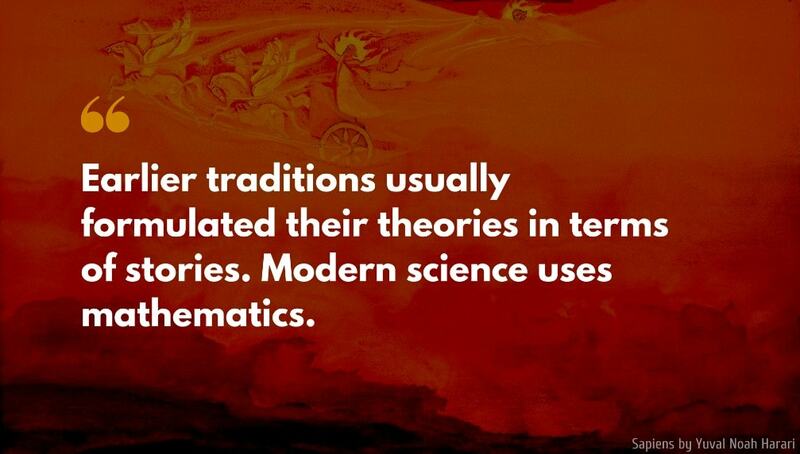 Modern science uses mathematics. 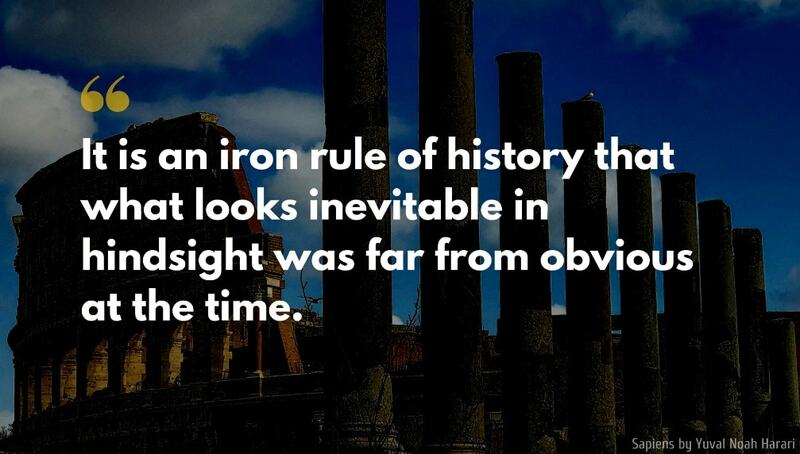 It is an iron rule of history that what looks inevitable in hindsight was far from obvious at the time. 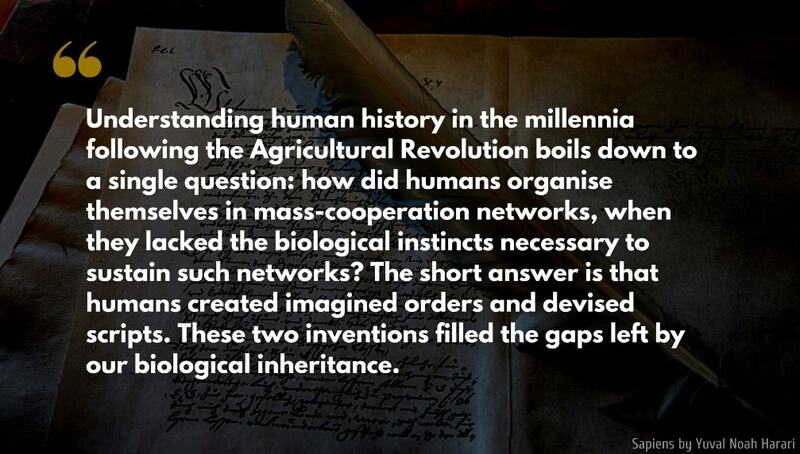 Understanding human history in the millennia following the Agricultural Revolution boils down to a single question: how did humans organise themselves in mass-cooperation networks, when they lacked the biological instincts necessary to sustain such networks? 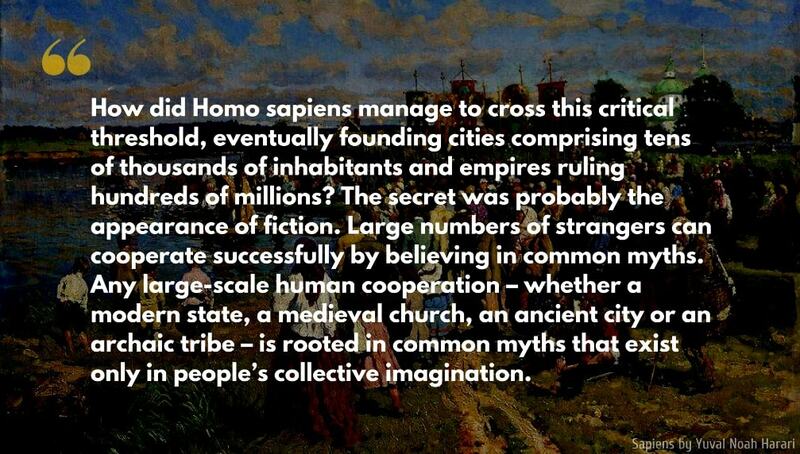 The short answer is that humans created imagined orders and devised scripts. These two inventions filled the gaps left by our biological inheritance. 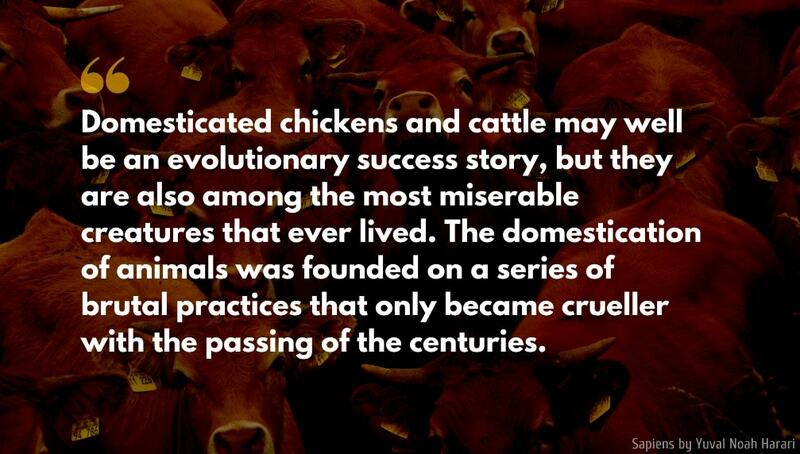 Domesticated chickens and cattle may well be an evolutionary success story, but they are also among the most miserable creatures that ever lived. The domestication of animals was founded on a series of brutal practices that only became crueller with the passing of the centuries. How did Homo sapiens manage to cross this critical threshold, eventually founding cities comprising tens of thousands of inhabitants and empires ruling hundreds of millions? The secret was probably the appearance of fiction. Large numbers of strangers can cooperate successfully by believing in common myths. Any large-scale human cooperation – whether a modern state, a medieval church, an ancient city or an archaic tribe – is rooted in common myths that exist only in people’s collective imagination. 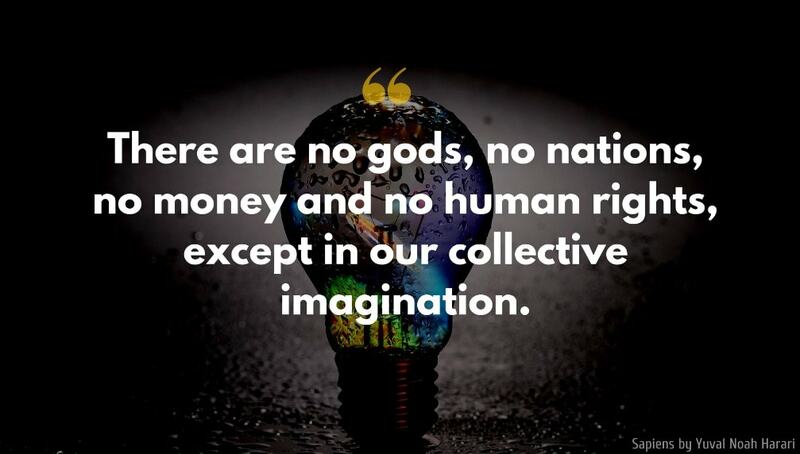 There are no gods, no nations, no money and no human rights, except in our collective imagination. 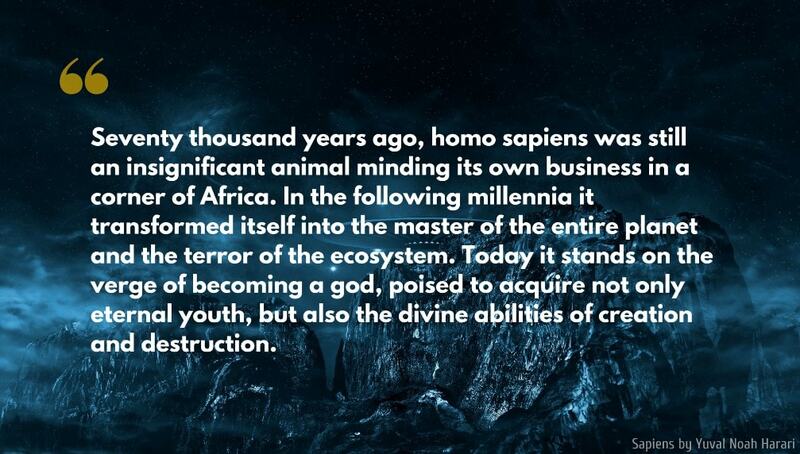 Seventy thousand years ago, homo sapiens was still an insignificant animal minding its own business in a corner of Africa. In the following millennia it transformed itself into the master of the entire planet and the terror of the ecosystem. Today it stands on the verge of becoming a god, poised to acquire not only eternal youth, but also the divine abilities of creation and destruction. We study history not to know the future but to widen our horizons, to understand that our present situation is neither natural nor inevitable, and that we consequently have many more possibilities before us than we imagine. We cannot explain the choices that history makes, but we can say something very important about them: history’s choices are not made for the benefit of humans. There is absolutely no proof that human well-being inevitably improves as history rolls along. The romantic contrast between modern industry that “destroys nature” and our ancestors who “lived in harmony with nature” is groundless. Long before the Industrial Revolution, Homo sapiens held the record among all organisms for driving the most plant and animal species to their extinctions. 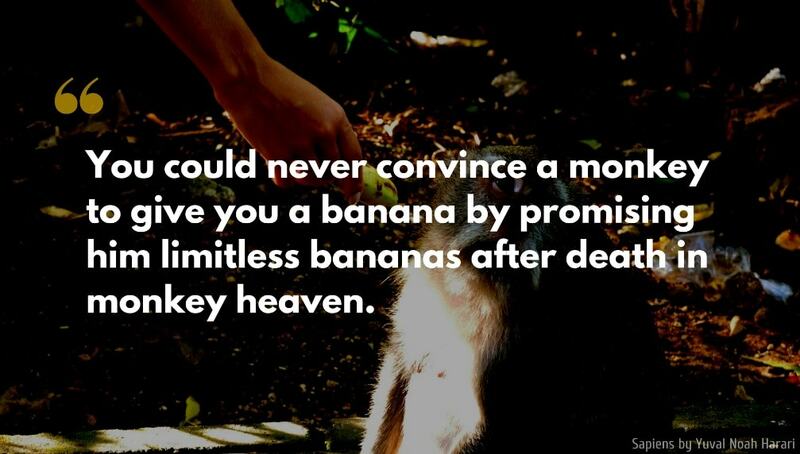 We have the dubious distinction of being the deadliest species in the annals of life. Most mammals emerge from the womb like glazed earthenware emerging from a kiln – any attempt at remoulding will only scratch or break them. Humans emerge from the womb like molten glass from a furnace. They can be spun, stretched and shaped with a surprising degree of freedom. 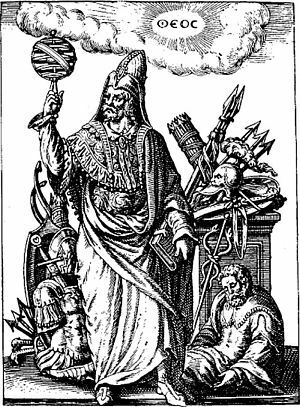 In fact, monotheism, as it has played out in history, is a kaleidoscope of monotheist, dualist, polytheist and animist legacies, jumbling together under a single divine umbrella. The average Christian believes in the monotheist God, but also in the dualist Devil, in polytheist saints, and in animist ghosts. Scholars of religion have a name for this simultaneous avowal of different and even contradictory ideas and the combination of rituals and practices taken from different sources. It’s called syncretism. Syncretism might, in fact, be the single great world religion. 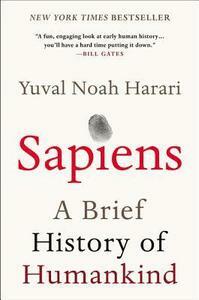 Sapiens: A Brief History of Humankind is a non-fiction book written by the Israeli historian Yuval Noah Harari. The book explores the history of human beings on this blue-green planet. Our ups and downs, from hunter-gatherers to modern individuals living in cubicles and buying our foods from the supermarket.